A year ago, I shared my decision to start medication after 4 years on the paleo autoimmune protocol (AIP). Almost one month after my original post went live, I started receiving questions from readers, wanting on update on my medication journey. Why did it take me a year to write this update on my results? Because the immune system doesn't regulate quickly. Medication is a slow experiment that takes time. While some people have immediate and magical response to the first autoimmune medication they try, that's pretty rare. I spent the past year tuning into my body, making conscious choices about which medications to try (and when), and carefully measuring benefits vs. side effects until I found something that works well for me. Some of you asked for an update because you cared about me and hoped I was doing well. I appreciate that more than words can express. You were all incredibly kind and supportive when I announced my decision. Some of you are following my journey closely, because you are in the process of making medication decisions yourselves. Believe me, I empathize with that struggle. A word of caution, though: there is no one medication that's right for everyone. If there was, a rheumatologist's job would be much easier. The truth is that we each respond to medication differently. Just like the paleo autoimmune protocol, medication is a grand self-experiment where we each learn what does and doesn't work for us. I share my journey on this blog to connect with people on a similar path and help us all feel less alone. But please don't take my experience as a blueprint for your own. This is my unique experience, not medical advice. Methotrexate: My rheumatologist wanted me to take methotrexate, prednisone and Humira all at once. That's a standard protocol for someone with severe rheumatoid arthritis (which I have). I wasn't comfortable doing that, because I wanted to be able to feel what each medication did for my body – positive and negative. So, with my doctor's knowledge, I started with methotrexate alone. I began with a small oral dose (10 mg), and when that was ineffective I was slowly tapered up, eventually reaching the maximum dose of 25 mg. I was also switched from oral to injectable for maximum absorption. Results? It improved my lab inflammation markers (CRP and ESR) but had no impact on my joint inflammation itself. My doctor said this was frustratingly common. I took 800 mcg methylfolate to help mitigate the side effects. While that did help, I still experienced some hair loss, fatigue, and intermittent nausea. I tried increasing the methylfolate dose, but it made me anxious and didn't improve my side effects further. The side effects weren't debilitating, however. If the methotrexate had been effective, I could have managed. I stayed on methotrexate during my other medication trials, since it can sometimes make other medications more effective. However, once I found a biologic that worked (see below), I stopped the methotrexate with no negative consequences. This classifies me as a “non-responder” to this medication. Prednisone: Next, I tried a prednisone taper on top of the methotrexate. My doctor hoped this would dramatically reduce my inflammation while giving the immunosuppressant time to work. This was my first experience with steroids. I had always thought prednisone was stronger than over-the-counter NSAIDs. In fact, when I started prednisone, my doctor told me to stop taking Aleve for two reasons: (1) It should no longer be necessary, and (2) combined with steroids there's an increased risk for ulcers. However, my pain spiked when I switched from Aleve to prednisone, even at the peak of the taper: 30 mg. I also experience many negative side effects: mood swings, extreme thirst, blood sugar imbalances, less ability to manage stress, fluid retention, bruising bodywide, dark circles under my eyes, and eventually collapsing veins making blood draws difficult. Following my doctor's recommendation, I gave this a 3-month trial, but was very happy to get off this medication. Because I experienced so little benefit, it was easy for me to taper. Prednisone can be addictive for a lot of people; I'm grateful that wasn't true for me. So, that's two medications that didn't work for me. Cortisone Shot: These are injectable steroids focused on a specific joint where inflammation is high. The biggest motivation for my trying medication was active joint damage happening to my left shoulder. I was experiencing major loss in range-of-motion and increasing pain. Since neither the methotrexate nor the oral prednisone had any impact, the doctor agreed to try a cortisone shot. The shot dramatically improved the pain, but unfortunately didn't improve the range-of-motion. Humira: At this point, it was time to try a biologic. My doctor recommended Humira or Enbrel. My insurance approved Humira, so that's the one we tried. This was my first improvement in RA symptoms after months of medication experiments. I regained my ability to make a fist, and inflammation elsewhere in my body lessened. I was less stiff/guarded, and people in my life noticed I moved more quickly and easily. These improvements happened within the first 2 months of taking the medication, but I wasn't in remission. I still had some inflammation in my hands, wrists, shoulder, and feet. My doctor said it can take 6 months to see maximum benefit, so we waited but I had no further improvements. In fact, I ended up having the largest flare I experienced since going paleo. This was somewhat of a shock, because I had hoped medication would prevent flares from happening, and this proved untrue. When it comes to RA medication, results are mixed. In terms of side effects, Humira seemed to make my methotrexate side effects worse: I felt increased nausea and fatigue on the weeks when I took both. I switched to taking my injections right before bed, so I could sleep off some of the side effects. 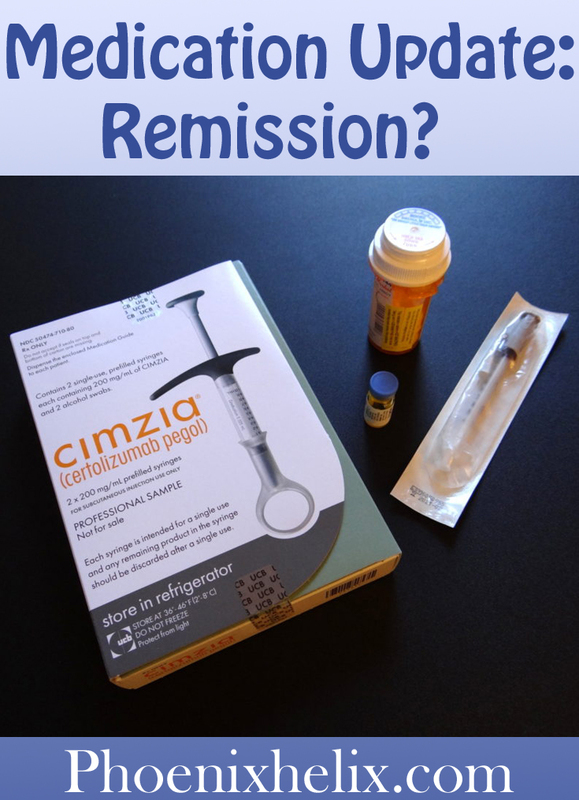 Cimzia: At this point, I started to lose hope that any medication would help me reach remission. But I switched to a new doctor, who suggested Cimzia: another biologic in the same category as Humira (TNF inhibitor), but Cimzia is formulated differently. My doctor said that Humira is released immediately and dispersed throughout the body equally, whereas Cimzia circulates through the body in a protective coating and is designed to release in areas of high autoimmune activity. He hoped it would be more effective at reaching the inflammation that remained, and it was. Within a few months, almost all of my inflammation disappeared (including the lingering flare). It's the closest I have ever felt to remission. I was able to stop the methotrexate and the Aleve altogether. 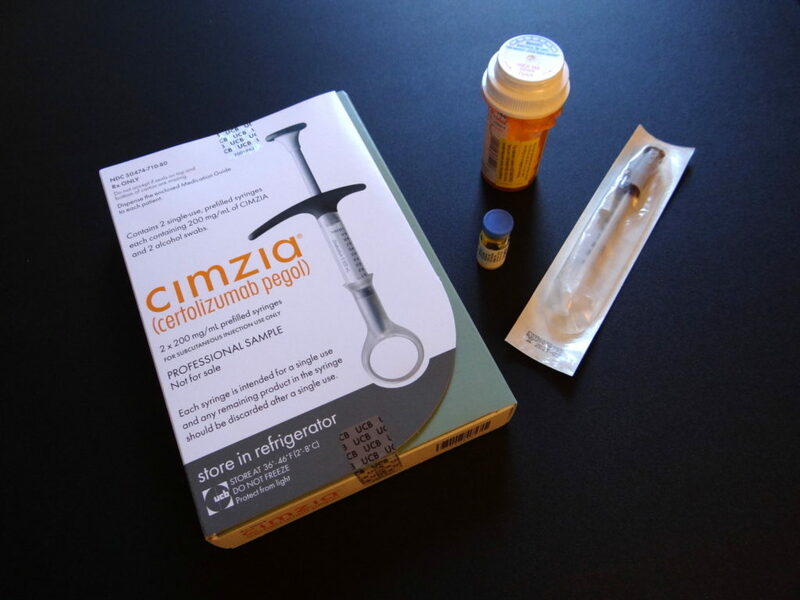 I had already stopped the prednisone, so Cimzia is now a solo medication for me. I experience no side effects now, and I'm glad that I didn't give up when the first medications I tried failed. Why do I have a question mark after that word? Because remission has a fluid definition which means different things to different people, and the medical definition continues to change as well. This is what it means to me right now. This is the best I have ever felt in 5 years with RA. I no longer need any painkillers at all. I have also reduced my supplements. I have no morning stiffness. I move more freely throughout the day and evening – no guarding of my joints. My joints are stronger bodywide. I'm capable of a wider range of physical activities. Fatigue is a very rare feeling. There is no sign of active joint damage. However, it's not perfection. While most days I am symptom-free, with no tender joints at all, I occasionally feel a pulsing in a joint or an increase of inflammation for a day or two. These are usually hormone-driven, just as they were prior to going on medication. The difference now is that there is no loss in range-of-motion. My doctor doesn't classify these as flares because they are mild, pass quickly and cause no damage. I don't give medication all the credit. My healing diet and lifestyle work together with my medication to achieve these results. And while I have stopping many supplements that are no longer needed, I still take a few that I find beneficial: curcumin, boswellia, and krill oil. This combination makes up my personal RA treatment protocol. I no longer have adrenal fatigue. I was experiencing hormone fluctuations and adrenal fatigue prior to going on medication, and no amount of adrenal support – either through lifestyle or supplements seemed to make a difference. Cimzia ended up having the biggest positive impact on this problem, because it turned out that rheumatoid arthritis activity was the root cause of my adrenal fatigue. I tolerate more foods now. I think the reason for this is two-fold. One is that medication has reduced my immune system's “army”, so there are less soldiers to attack when I encounter an inflammation trigger. The second reason is that medication actually improved my gut health. How? Leaky gut is a trigger for autoimmune disease, but it's also a side effect of having autoimmune disease. No matter what our diagnosis, the immune system also attacks the gut. This means it's very difficult to heal leaky gut unless we are in complete remission. When intestinal permeability remains, we are more prone to food intolerances due to the food chemicals slipping through to our bloodstream in larger molecules than our body can use. This can set off an inflammatory response. Some foods that used to cause autoimmune flares in the past for me (like dairy and nightshades) no longer seem to do so. This doesn't mean I'm bingeing on these foods, but in the past, trace exposure would have set off a flare. Now, I can eat them occasionally. My immune system still works. Alternative health practitioners will often say that these drugs turn the immune system off. If that were true, we wouldn't be able to leave a sterile environment, and every day would be life-threatening. The goal of immunosuppressants is to suppress an overactive immune system down to a healthy level. Sometimes this is a balancing act, and people end up with more illnesses as a result. That didn't happen for me. I caught one cold which healed completely within a few weeks. There was no advanced infection. That has been my only illness. My labwork is excellent. Before going on medication, my white blood cells showed unusual activity (no surprise with autoimmune disease). Cimzia moved them into optimal health ranges. My inflammatory markers (CRP and ESR) dropped to normal. And while I get bloodwork regularly to monitor liver and kidney function (which is important when taking immunosuppressant medication), my tests show healthy function of both. I currently experience no negative side effects. When we read the list of potential side effects of these medications, it's no wonder we feel frightened. We picture getting all of them, but it's important to realize that they don't happen to everyone. The goal is to find a medication we tolerate well. Cimzia is currently offering me great benefit with no drawbacks. If you look at my medication experiments, you will see that I tried and discarded other medications when the opposite was true. Just because one medication fails to help, doesn't mean they all will. Yet, medication's not a miracle. As I've mentioned above, one of my primary motivations for trying medication was a rapid loss in range-of-motion in my left shoulder. My hope was that I could halt and reverse this process. Unfortunately, that didn't happen. My body's variation of rheumatoid arthritis moves rapidly when it's active. Damage happened before I even got in to see the doctor, and continued happening until we tried Cimzia 10 months later. 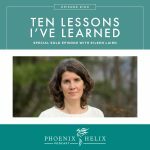 In my podcast with rheumatologist Dr. Melissa McNamara, she said it is possible to reverse very small erosions, but once they reach a certain size, she's never seen them reverse. When the nurse called with the results of my x-rays she told me there was severe damage to the joint, and the doctor recommended an immediate surgical consult. I was devastated, and I didn't accept it at first. I tried physical therapy, acupuncture, and a number of different types of bodywork. While I would temporarily get a little range-of-motion back, it was minimal, and the results didn't last. This is why: I had zero cartilage remaining in my shoulder, severe erosion to the bones, and a re-shaped joint that acted as a third physical barrier. I finally made peace with reality and followed through on joint replacement surgery this year. It was an emotional journey to get there. Right now, I feel grateful for a skilled surgeon, excellent insurance, and a wonderful physical therapist. I had no surgery complications and recovered well. I'm currently rebuilding my shoulder strength and function and making gains every week. So, the question is: could I have avoided this if I had gone on medication sooner, instead of delaying 4 years? This is one of those “what if” questions that can never truly be answered. It's the path not taken, and there are so many variables. The answer is: maybe yes, maybe no. Many people experience joint damage even when taking medication. I'm not the first RA patient to have joint replacement surgery. At RA onset, my body was cripplingly inflamed, malnourished, and pretty toxic from years of eating processed foods. All of this is guesswork, but I think medication would have been very hard for me to tolerate and I'd have suffered more side effects back then. I also don't think I would have tried diet simultaneously, so the excruciating pain I was experiencing would likely have continued for many months before finding relief, if ever. I think I would have felt victimized instead of empowered. I don't regret the choices I made before now. I made the best choice I could at each stage of my journey. But I want to be honest about everything, including this. When I first started my medication trials, I hoped that I would respond well to the mildest medication, since I had already reduced so much of my inflammation naturally. This obviously proved untrue for me. While I was disappointed, I was also more grateful than ever for the paleo autoimmune protocol. It took me almost a year to find a medication that helped. Dietary intervention started helping within just a few weeks and continues to help me to this day. If I was still driving inflammation with poor diet and lifestyle choices, I don't know that I would ever have found a medication that worked. I also believe that my non-toxic diet and lifestyle make it easier for my body to process and tolerate the medication. It doesn't have to be either/or. For me, I see diet and lifestyle as complementary medicine. This combination is what feels most supportive of my health. I also asked this question to a number of my peers; here are their answers. My goal is to continue to live the best life possible with autoimmune disease. I have no desire to go off my medication at this point. It's offering benefit without harm, and I don't want to risk more permanent joint damage. 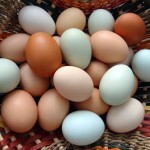 I've been experimenting with food reintroductions. I still plan to stay paleo with a focus on nutrient-density, but if I could expand my range of options simply for the occasional restaurant convenience, I would love to do so. I don't plan to attempt reintroducing gluten. The risk is simply not worth it to me. I believe what Terry Wahls says: “What we eat and how we live sends a direct message to our bodies about how to respond: with vitality, or with decline.” I plan to support my body for continued good health. A peaceful, positive mindset. Sustained remission is rare with rheumatoid arthritis. I can't count on always feeling this good. However, I don't live in fear of this. I live in gratitude. My goal is to enjoy my good health each and every day, and I hope my remission lasts. But if it doesn't, I will nurture myself with self-love and grace (because flares aren't permanent either). Medication is a very personal decision. I can't tell you what to do when facing this choice. But if you are not in complete remission of your autoimmune disease, and damage is happening to your body right now, medication has the potential to help and I believe it's worth considering. If you choose to take medication, expect it to be an experiment with some trial and error. Just because one medication fails, doesn't mean they all will. That's where the statistics can be misleading. When you hear that only 1 in 4, or 1 in 7 people respond to a medication, that doesn't mean medication doesn't work for most people. It means you may have to try many different ones before finding the one that helps your unique body. Keep a symptom journal. Since medication trials take time, it's easy to forget where we started, notice all the improvements, and track side effects accurately. Keep notes, so you can more clearly see what is and isn't working as you go along. If I hadn't done so, I wouldn't have been able to make effective medication decisions myself, and this blog post wouldn't be filled with the details I've been able to share with you. Find a doctor you trust to guide you through this experiment. Make sure it's a doctor who listens to you. Resources: Building Effective Doctor-Patient Relationships and Do Paleo-Friendly Autoimmune Specialist MDs Exist? The goal of medication is for the benefit to outweigh any negative effects. So, if you're experiencing a high number of side effects with one medication, ask your doctor to recommend a different one instead. If your doctor tells you it's normal for people with autoimmune disease to suffer, seek out another doctor. We deserve to feel good. Since going public about my choice to take medication, I receive emails and suggestions from people who believe there is a “cure” I have not tried. While these might come from a true desire to help, I ask you to trust that in 5 years, I have tried a wide range of interventions and worked with many qualified practitioners. If you follow my blog and podcast, you know that I am knowledgeable about everything from functional medicine to energy medicine to allopathic medicine. There is very little I haven't tried. I'm not looking for a new practitioner nor treatment suggestions at this time. This website has a disclaimer on its legal page that is always in effect, but since I'm talking about medication here, it seems prudent to end the article with this reminder: I’m neither a doctor nor a dietitian. 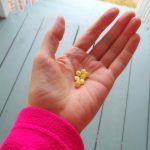 This blog is designed to chronicle my own health journey, share what I learn in the process, and connect with others on a similar path. Everything I write here is simply my opinion and not a replacement for medical advice. Always consult with your doctor when making medical decisions.